The IFC complex is an important building complex for tourists. This is because it has one of the plushest of Hong Kong&apos;s biggest malls and is the city&apos;s transportation center. These reasons and more make it a tourist highlight in Hong Kong. One of the world&apos;s single most important financial and business complexes. 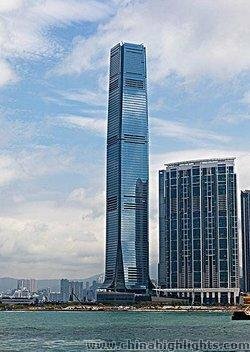 Tower 2 is the second tallest building in Hong Kong (24th in the world in 2016) at 415 meters (1,362 feet) high. Hong Kong&apos;s No. 1 transportation hub has four subway lines and ferry access. The Airport Express provides direct to airport. The 60-story Four Seasons Hotel has a Michelin 3-star restaurant (2016). The IFC Mall is one of the plushest and most popular malls in Hong Kong. Hong Kong ranks in the top 10 cities in the world with the most millionaires even though it is a comparatively small city. The IFC Mall is one of the luxury malls they prefer. Several other malls are similarly pricey but more stuffy or impersonal. It might be the best luxury mall in China for tourists wanting to enjoy luxury shopping while enjoying the open feel, fine views, fine dining, and convenient location. 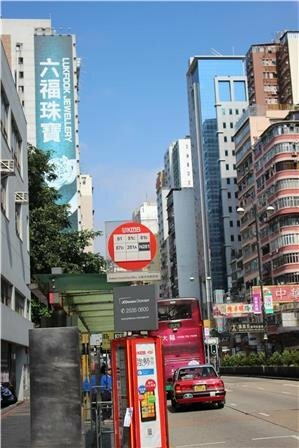 Most tourists can&apos;t afford the high prices, but many like to browse through the cavernous mall and the adjacent MTR complex and find boutique luxury brand stores, starred restaurants and coffee shops to relax in, and bookstores to browse in. The mall windows and the free open deck overlook Victoria Harbor. It is a busy pedestrian thoroughfare for people passing between the Central ferries, the MTR subways below, and the rest of the area. People enjoy shopping on the way to the airport via the convenient, direct Airport Express subway below it. The ritzy shops, a 3-star Michelin restaurant, and the big Four Seasons hotel puts it definitely at the top of the luxury class. Major stores: Apple, Rolex, Bose, Versac and about 200 other boutiques and stores. The Apple store covers three stories and is the best in southeastern China. Cheap restaurants: Inexpensive places to eat such as McDonalds and Starbucks makes it a favorite place to congregate. Fine dining: Several Michelin-starred restaurants in 2016 including Hong Kong&apos;s best 3-star Cantonese, one of the best French restaurants, and a popular and moderately priced dim sum restaurant called Lei Gardens. Being at the center of the Central CBD gives business people an advantage. Their offices are physically close to nearby government offices and other major office towers. The complex also has the advantage of being the hub of the world&apos;s best transportation system. Foreign business people often prefer to live in Discovery Bay or other islands away from the city, and being so close to the piers (about 300 meters) gives the complex a big advantage over other office locations. The IFC complex includes Hong Kong Station and Central Station underneath, the IFC Mall area, the tall Four Seasons Hotel, and two office towers called IFC 1 and IFC 2. It is very important commercially and for world finance for several reasons. It is Hong Kong&apos;s financial center and houses the Hong Kong Monetary Authority offices and major company offices. It is next to the Hong Kong Stock Exchange. 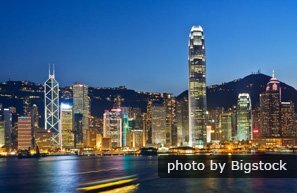 Hong Kong is now ranked as third most important financial center in the world behind London and New York in 2016. 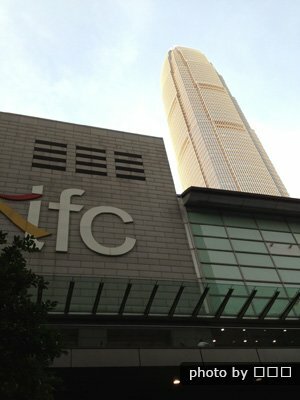 The IFC complex is also a tourist attraction. It is designed for visitors and tourists. Tourists will be interested in seeing the view from the windows, eating at the starred restaurants, shopping in the IFC Mall, seeing its light display, and in staying at the Four Seasons. It plays a prominent role in the Symphony of Lights display put on for tourists at the Avenue of Stars. The IFC Tower joined the Symphony of Lights in May of 2004. It participates by waving laser lights. It is also often the main site for Hong Kong&apos;s New Year celebrations. The Four Seasons Hotel is a large 60-story hotel. It is one of the biggest of Hong Kong&apos;s 35 or so five-star hotels. There are about 400 guest rooms and 500 apartments. The hotel opened in 2005. One of the attractions for tourists is that it sits on the harbor front for excellent views. It also has the quickest access to the ferry piers and MTR of any hotel in Central. The Four Seasons Hotel houses the 2-star Caprice for French cuisine and the 3-star Lung King Heen for Cantonese cuisine. At least according to the Michelin guide, this is one of the two best Cantonese and one of the best French restaurants in Hong Kong. Getting ranked as 3 Michelin stars is an honor for a restaurant. There are only six 3-star restaurants in the whole of China, Hong Kong and Macau. Lei Garden is a 1-Michelin-star restaurant. It is in the IFC Mall and has become well known around Central for its delicious food. They serve Chinese dishes including dim sum and seafood. There are long lines at lunch. It is located at 3008 on the third floor. On the 55th floor, there is a free museum and library sponsored by the Hong Kong Monetary Authority. There are exhibits describing the development of banking and money in the area. There are also good views from the windows. People can browse in the library that contains periodicals from central banks, economics books and journals, and the Monetary Authority&apos;s own publications. A free tour is offered in the afternoon. Entrance: A photo ID is required. Travel to Hong Kong International Airport is convenient because the special Airport Express MTR station is basically "in house" under the IFC Tower. It is on the 2nd level of Hong Kong Station. It leaves frequently and whisks people to the airport in about 24 minutes. What tourists find especially convenient is the baggage check in at the station. Three regular MTR lines also meet under the complex. There are two regular stations: Hong Kong Station and Central Station. Central Station: The Tsuen Wan line travels north to Tsim Sha Tsui and Mong Kok, and then west at Prince Edward station. The Island Line runs east-west through the populated areas along the northern coast of Hong Kong Island. Hong Kong Station: Tung Chung line trains go to the town of Tung Chung near the airport. En route they pass through Kowloon Station, under the ICC Tower, in West Kowloon. There is a fast ferry service to Discovery Bay and Mui Wo on Lantau Island. Fast ferries also go to Cheung Chau Island and Lamma Island. Many expats live in these four places, and tourists like to visit them. The Island Tram line is about a five minute walk via pedestrian overpasses from the IFC complex. It is a comparatively slow but inexpensive way to travel and see some of the island&apos;s sights. It is a tourist attraction. The IFC Tower is owned by Sun Hung Kai Properties. The company has been leading innovators in building design and construction in the region. They constructed the ICC Tower, Park Island Apartments, Noah&apos;s Ark Theme Park, and numerous other projects. The IFC Tower complex was built between 1998 and 2005. Tower 1, the shorter tower, was built in 1998 and opened in 1999. It is 39 stories tall and includes major businesses. Tower 2 was completed in 2003. Major tenants include the Monetary Authority and Nomura International. The Four Seasons Hotel was opened in 2005. 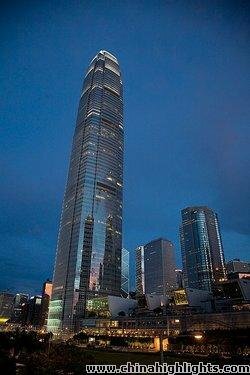 Until about 2011, it was generally considered to be in the top 10 of the world&apos;s tallest buildings. But there has been a recent flurry of skyscraper construction, so it has dropped down considerably on the list of tallest buildings. Ferry: From Tsim Sha Tsui, take the Star Ferry to Central. It is a short 5 minute walk away from the pier along the pedestrian overpass. 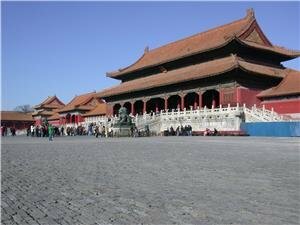 China Highlights specializes in tours for individuals and groups that and personalized and tailored according to customer wishes. Contact us to go on private shopping tour with us or to stay at a hotel such as the Four Seasons. We arrange tickets and transport: Entry tickets, visas, accommodations, and any transport tickets are arranged in advance for you. 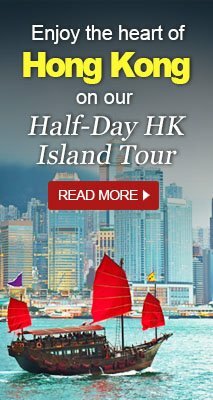 See our Hong Kong tours.